There are around 90 species of whales, dolphins and porpoises, known collectively as “cetaceans”. In Algoa Bay we see mainly: Southern Right, Humpback and Brydes Whale species, along with Killer Whales, Bottlenose, Common and Humpback Dolphins. 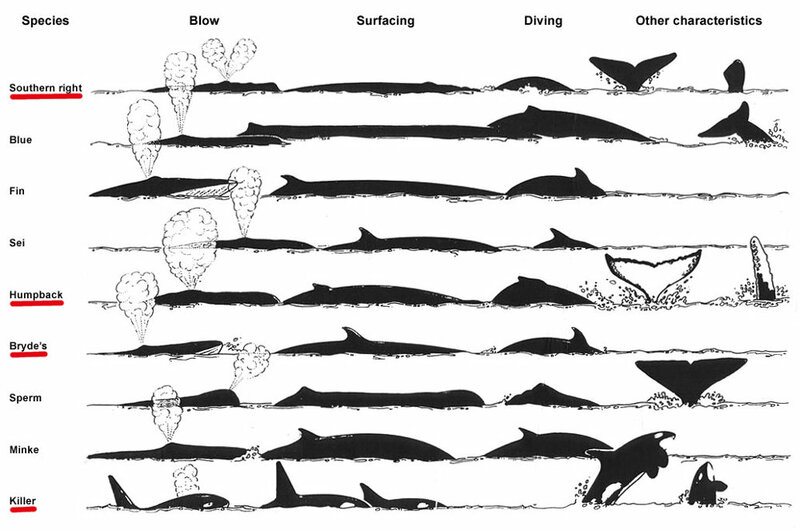 Some of the large whales can be identified by their blow, surfacing and diving characteristics. Right whales are so named because whalers considered them the ‘right whale’ to catch, being easy to approach, swimming slowly, living close to shore and floating when dead to make access to their valuable oil, meat and whalebone simpler. As a result between 1805 and 1844 alone, about 45,000 right whales were killed and they came very close to extinction. Although protected since 1937, only the southern right whale is showing signs of recovery. Southern right whales have many outstanding characteristics – the most notable perhaps being that they have the largest testes in the animal kingdom – with each pair weighing a tonne. They also have a large head, which is about a quarter of their body length with a strongly arched mouth. Inside this mouth are long, narrow baleen plates on either side of the upper jaw. There are some 220-270 plates. Each one is up to 3m long, has fringed bristles and is dark grey or brown. The baleen can appear yellow under water and is lighter in young animals. Southern right whales have huge growths called ‘callosities’ on their heads and rostrum (upper jaw). Whale lice – a type of crustacean – live on the callosities, which makes them appear pale. Southern right whales have two blowholes. 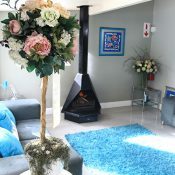 Their blow is wide, V-shaped and up to 5m high. Southern right whales have a rotund body and broad backs with no dorsal fin and large, broad flippers. The skin is dark brown with white patches on the bellies. The tail flukes are raised when diving. They have smooth, wide trailing edges and a deep notch in the middle. Southern right whales have more callosities on their lower ‘lip’, and less on their head, than northern right whales and like northern right whales, individuals are identified by the unique patterns these growths make. They are also slightly smaller than the 2 species of northern right whales. Otherwise, the three species are almost identical. Southern right whales have no dorsal fin. The large rotund body, attaining 16m and a weight of 65 tonnes, is mostly black with some individuals appearing mottled. The mouth of the southern right whale describes a high arch and the head bears numerous warty growths known as callosities. These growths form a unique patternation amongst individuals and are a useful means of identification. Southern right whales have a distinctive blow and can be immediately recognised from the surface by their V-shaped spout upon exhalation. Southern right whales are biologically very similar to their northern cousins, the… wait for it… northern right whales. Competition between males is non-agressive as several males will mate with the female and fertilisation is achieved by the largest sperm count – hardly surprising then that the testicles can weigh in at 500kg each. Gestation lasts between 11 and 12 months, producing a single calf which is then suckled for at least six months. The calf may consume a staggering 600 litres of milk per day in preparation for the journey south into colder waters. Calves can be as large as five meters and five tonnes at birth, and may grow as much as 2.5cm per day. A small percentage of southern right calves (invariably males) are born entirely white or mottled and will gradually turn grey with age. Inhabiting all southern oceans, southern right whales feed selectively on copepods and krill during the summer months. They migrate north during winter to calve and mate in sheltered bays up as far as the tropics. As with the humpback whale, southern right whales appear only to feed opportunistically in the warmer temperate waters. Evidence now suggests that individuals return to South Africa each year and sightings reach a peak between August and October but are not unusual from June to November. 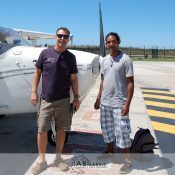 At the peak in 2001 over 50 individuals were recorded simultaneously in Plettenberg Bay alone. Once reduced to a mere 10% of their original population, southern right whales were the foundation of the whaling industry in the 1800’s. During this time and being the ‘right’ whales to kill, the stock declined rapidly as the catch comprised of many adult females, either pregnant or with calves – see history of whaling. The population of southern right whales is now increasing exponentially at the very encouraging rate of 7% per annum. At this continued rate we can expect the population to double within the next ten years. Humpback whales have distendable throat grooves and are therefore classed as rorquals (family Balaenopteridae). They are however, significantly different in appearance and biology to all the other rorqual species and as such, represent a separate, single species genus – Megaptera. Humpback whales have a small dorsal fin about two thirds of the way down the body, which is set upon a gradually sloping hump – more noticeable when the animal dives. Most distinctively however, are the unusually long, often white, pectoral fins, in stark contrast against the almost black upper body. These pectorals can be as much as one third of the total body length and provide the scientific name – Megaptera meaning large wing. The underside of the fluke also tends to be white and the distinct patternation on individual animals can be used by scientists for identification. On the large head are three rows of tubercles, known to the old whalers as “stovebolts”. These are also found on the lower jaw and accumulate at it’s tip. Humpback whales as large as 18m have been recorded although specimens in the southern hemisphere tend to be smaller. Females reach sexual maturity at about 12 meters and like all baleen whales they tend to be larger than the males of equivalent age. Gestation lasts between 11 and 12 months and generally produces a single calf which is then suckled for a period of 10 to 11 months. Southern ocean stocks of humpback whales feed almost exclusively on krill near the polar regions and are known to create bubble nets in order to concentrate their prey. Sightings in South Africa are not unusual from June to Janurary as the whales migrate up the east coast to calve and mate in the waters off Mozambique and Madagascar. Although humpback whales appear not to feed when in tropical waters, it is believed they may feed opportunistically on the journey back to Antarctic regions. During this period the whales are merely passing our coastline but we often find them offshore in small groups (of up to 10 animals) or singly and with calves. Humpback whales are able to launch their entire body clear of the water and have been recorded breaching over 100 times in succession. They are also the most ‘vocal’ of all whales and if you dive in South Africa during the winter months you may well hear the haunting songs of the humpback whale, although the animals themselves can be several kilometers away. Only the males sing long, elaborate, songs which can last up to 20 minutes and may be repeated for several hours at a time. Research has shown that these songs, which are gradually modified over time, are learnt and passed on to other whales within specific populations – an example of whale culture similar to that in evidence amongst many species of toothed whale. The Bryde’s whale (pronounced “broo-dess”), is named after Johan Bryde who helped build the first whaling factory in Durban, South Africa in 1909. Sometimes known, appropriately, as the “tropical whale”, this is the only baleen whale species that lives all year-round in warmer waters near the equator. The identity and number of species in the “Bryde’s whale complex” however is still unclear. In addition to the “ordinary” Bryde’s whale, with a worldwide distribution in the Pacific, Indian and Atlantic oceans, one or more smaller forms which tend to be more coastal in distribution have also been described. 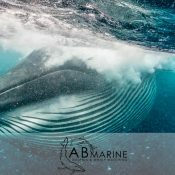 For the moment, the taxonomic status of the smaller forms is unclear and there may be several additional species and/or subspecies however currently two are recognised; B. e. brydei – offshore Bryde’s whale, B. e. edeni – Eden’s whale. Bryde’s whales are closely related to several other fast swimming, medium-to-large whales all with a similar body shape and which may be confused with each other when viewed at sea. This group includes sei, minke and fin whales. Bryde’s whales can attain 14m and 20 tonnes. The body is sleek and dark-grey to mottled with a lighter underbelly. They have a prominent erect and hooked dorsal fin approx. three quarters down the body. When seen from the surface they can be difficult to distinguish from the minke and sei whales, however they have three distinct ridges along the top jaw which are not found in the other species. Gestation seems to be about a year and the resulting calf is then nurtured for another year before the female falls pregnant once again. Sexual maturity is reached at 12m for males and 13m for females after between 7 and 13 years. There appear to be two populations off the Western and Eastern Cape – one remaining mostly offshore and migrating seasonally, while the other population is more or less resident in shallower waters. Bryde’s whales feed on small crustaceans and shoaling fish, often scooping up huge mouthfuls by lunging up from depth. Being elusive animals, they tend to shy away from boats and seldom provide a good sighting unless feeding. Sightings of Bryde’s whales are most common from late Summer into Winter when they are often seen “‘running” with common dolphins or when shoaling fish are closest to the shore – during the sardine run. Dolphins are a widely distributed and diverse group of aquatic mammals. The dolphins comprise the extant families Delphinidae (the oceanic dolphins), Platanistidae (the Indian river dolphins), Iniidae (the new world river dolphins), and Pontoporiidae (the brackish dolphins), and the extinct Lipotidae (baiji or Chinese river dolphin). There are 40 extant species of dolphins. Dolphins, alongside other cetaceans, belong to the clade Cetartiodactyla with even-toed ungulates. Cetaceans’ closest living relatives are the hippopotamuses, having diverged about 40 million years ago. Dolphins are sometimes hunted in places like Japan, in an activity known as dolphin drive hunting. Besides drive hunting, they also face threats from bycatch, habitat loss, and marine pollution. Dolphins have been depicted in various cultures worldwide. Dolphins occasionally feature in literature and film, as in the film series Free Willy. Dolphins are sometimes kept in captivity and trained to perform tricks. The most common dolphin species kept is the bottlenose dolphin, while there are around 60 captive killer whales. At up to nearly 10 metres long, male orcas are larger than females and have a tall dorsal fin – up to nearly 2 metres in height. The orca is the largest of all dolphins, attaining 9m and 8 tonnes. Orcas are most distinctive from the surface for having a huge dorsal fin of around 2 metres – the tall sword-shaped and strikingly visible dorsal fin makes them almost unmistakable at sea. Female length is about 20% less and the curved dorsal fin is less than half the height of the males. The body is robust and glossy-black with distinctive, white markings. There are 10-12 large, conical teeth each side of each jaw. Orcas breed the year round and calves are born after a 13-16 month period of gestation. They are then suckled for at least one year. Found in tropical, temperate and polar waters, orcas tend to hunt in packs and often employ ingenious strategies. They feed on squid, fish, birds, seals, sharks, dolphins and even other whales. Unquestionably at the top of the marine food chain, they seem to have enough sense to disregard humans as a viable and sustainable resource. Only one human is known to have been killed by an orca – a trainer killed by a captive animal. The name “killer whale” derives more from their unsociable behaviour towards other species of dolphin and whale. Orcas are periodically sighted off the coast of southern Africa and distinct groups seem to return to specific locations where they target specific prey. Little is known about their migratory habits, although Navy records do indicate year-round activity in South African waters. BOTTLENOSE DOLPHIN – Tursiops aduncus & Tursiops truncatus. The bottlenose dolphin is the most well-known of all dolphins, likely because of its frequent appearances on television and in film and its popularity with the captivity industry. They were one of the first species (and continue to be the most popular) regularly captured live for display purposes and by the US Navy for ‘research’. Bottlenose dolphins are highly intelligent, adaptable predators, capable of problem solving, tool-use and exhibiting some flexibility in terms of prey. Until recently all bottlenose dolphins were classified as the same species, Tursiops truncatus. In recent years, however, a distinct species found in the Indo-Pacific region has been recognised, Tursiops aduncus, hence now the recognition of 2 species of bottlenose dolphin; the “common” (T.truncatus) and the “Indo-Pacific” (T. aduncus) bottlenose dolphin. In addition, the population found in the Black Sea is recognised as a separate subspecies, T. t. ponticus, the Black Sea common bottlenose dolphin. The size and appearance of the common bottlenose dolphin is highly variable both among individuals and between different populations. It is generally a large dolphin, robust and chunky, and under most lighting conditions it appears a featureless uniform grey. In actuality, its colouring is fairly complex. The common bottlenose dolphin is actually a dark grey, sometimes bluish or brownish grey, with a darker dorsal cape, paler lower sides with a subtle eye-flipper stripe, and lighter belly. It has a distinctly short, stubby beak, set off from the melon by a crease, a high falcate dorsal fin, long slender pointed flippers, and pointed flukes. In areas where more than one population can be found they are often separated into inshore and offshore types, the inshore ones generally being smaller. 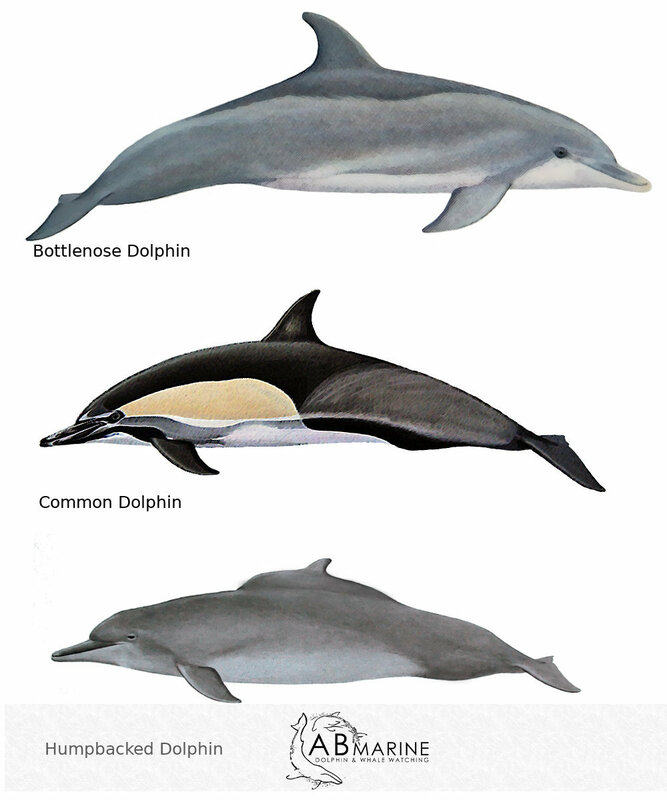 They can be easily confused with Indo-Pacific bottlenose dolphins where their range overlaps, as well as with young spotted dolphins, rough-toothed dolphins and dolphins from the genus Sotalia. Correct identification is sometimes a process of elimination. 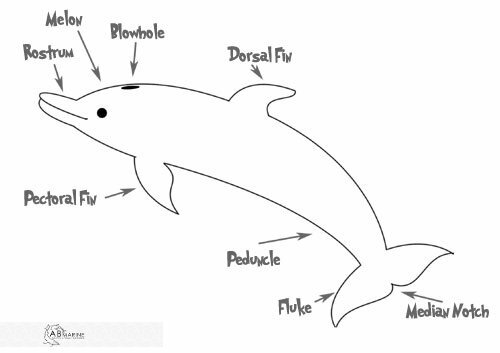 The beak (rostrum) of the bottlenose dolphin, narrows abruptly from the head. The dark upper body fades to an off-white underbelly, however individuals become speckled with age. The dorsal fin is prominent and hooked. Tursiops aduncus is the most frequently observed inshore species, attaining a length of 2.4m. Tursiops truncatus is much larger (over 3m and double the mass) and is not often encountered inshore in South Africa. Truncatus has a more noticably blunt and abruptly sloping forehead with a shorter rostrum. Calves are born throughout the year, although births reach a peak during the spring and summer months. A single calf is born after a years gestation. Suckling continues for up to four years and females become sexually mature at approx. ten years – three years sooner than the average male. Both sexes may live for over 40 years although females tend to live longer than males. Observations of Tursiops aduncus in the Western Cape have identified four distinct group types: Nursery groups consisting of related females and calves – dolphin society is matriarchal: Young adult groups of both sexes – are usually larger and more playful groups: Small groups of 2-4 males – sometimes accompanied by a female: Mixed groups – which may consist of some or all of the above group types. Hunting collectively and feeding on bony fish and squid, group size is often an indication of how much food is available in a particular area. The national average group size is 60 animals, whilst the Garden Route average is double that at 120 animals. The KwaZulu Natal average is only 20 animals, although this may be directly attributed to the dolphin by-catch of the regions shark nets. The inshore bottlenose dolphins – Tursiops aduncus – can be found year round along the entire coastline east of Cape Town. Of all the dolphin species they are the most inclined to interact with humans. Masters of the surf zone they are always a pleasure to watch. They seem not to be disturbed by boats and often bow ride, back-splash and sommersault in their presence. Regarding surfers and divers with only a passing curiosity, they do occasionally take time out to teach us some new tricks. There have recently been changes to the number of species in this genus. In addition to the Atlantic humpback dolphin (Sousa teuszii), three species are now recognised; Sousa chinensis (Indo-Pacific humpback dolphin) – found from the east coast of India, through the Indo-Malay archipelago and east towards Australia; Sousa plumbea (Indian Ocean humpback dolphin) – found from South Africa to India; and Sousa sahulensis (Australian humpback dolphin) – found in northern Australia. One population of the Indo-Pacific humpback dolphin, living off the industrial west coast of Taiwan, has been recently recognised as a sub-species, S. c. taiwanensis and is rated Critically Endangered. As suggested by the name, in many parts of their range the Indo-Pacific humpback dolphin and the Indian Ocean humpback dolphin have a distinct hump at the base of the dorsal fin. Those in the easterly reaches of the species’ distribution, lack this defining characteristic. The Indo-Pacific humpback dolphin is a medium sized, robust dolphin with a rounded melon that slopes down to the beak. The flippers are broad and rounded, and the beak is long and narrow. There is substantial morphological variation among differing species and populations, and colouration of these species ranges from white to pink to dark grey. In the western portion of their range (now classified as Indian Ocean humpback dolphins), calves are born a light grey colour and darken with age. Whereas in the eastern portion of their range (Indo-Pacific humpback dolphins) calves are born a dark grey and lighten with age. 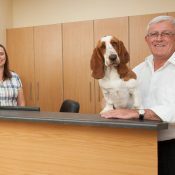 This transition from dark to light colouration results in the animals going through various stages of having dark spots and speckles around the body, all of which fade with age. Humpback dolphins are coastal animals, venturing quite far landward into estuaries and mangroves. Their inshore habitats are often turbid waters and thus sound production and reception are crucial for navigation and social contact. In addition to their high frequency echolocation clicks, they are highly vocal, producing whistles and screams singly or in sequences and of varying lengths. They are not known to bowride very often, but they do breach, lobtail, and even somersault on occasion. They may also be seen sometimes swimming on one side while waving a flipper in the air. They are generally slow swimmers but sometimes will chase each other around in circles at high speed; researchers suggest this may be courtship behaviour. The average life-span of a humpback dolphin is thought to be approximately 40 years of age. The Indian Ocean humpback dolphin is known to occur within the Indian Ocean from South Africa to India. The Indo-Pacific humpback dolphin from india to the South China Sea although discrete populations of both species are thought to exist, for example in the Pearl River Estuary, the Persian Gulf and the coastal waters of eastern South Africa. Due to their preference for nearshore waters they are especially at risk from human activities. Bycatch in fishing gear is a serious threat, and many populations have been found to have dangerously high levels of contaminants, which may interfere with reproductive success. Industrial activities and coastal development continue to degrade their habitat and increasing ship and boat traffic is a serious concern for this species. The IUCN currently categorises the Indo-Pacific humpback dolphin as Vulnerable (2017) and the Indian Ocean humpback dolphin as Endangered (2017). Humpbacked dolphins attain up to 2.7m in length and have a long, relatively narrow beak (rostrum). The body is robust, dark grey to brown on top and paling underneath. The most distinctive feature is the long shallow hump located beneath a small and hooked dorsal fin. Moving east however, both colouration and form do vary considerably, with the dorsal fin becoming larger on a less obvious hump and the colouration becoming brown and speckled to almost completely white – as found in the pink dolphins of Hong Kong. There is currently much debate as to whether these are now in-fact, two separate species – the Indian humpbacked dolphin (Sousa plumbea) and the Pacific humpbacked dolphin (Sousa chinensis). Calves are born throughout the year, but most arrive during the spring and summer months after a 12 month gestation period. Suckling may continue for several years. Females are sexually mature after approx. ten years – three years sooner than the average male and both sexes may live for over 40 years. Found in temperate to tropical waters the population in Southern Africa is small and estimated at only 1200 animals. Groups of between 3 and 20 humpback dolphins can be found in isolated groups along the entire coastline between Cape Town and Mozambique. Shying away from boats and humans, they hunt close to the shore and feed on reef and estuarine fish. Unfortunately their inshore reliant habits expose them to a higher level of pollution and toxins – run-off from farms and industries inland. Feeding in esturaries and river mouths, they absorb and accumulate these toxins which are then passed on, through the milk to the first-born calf, which is invariably too small to tolerate such levels – a 10 year build up before the female is sexually mature. Subsequent calves will usually survive as the accumulation period of toxins is much shorter – approx. 2 years between calves. Shark nets are also a significant facor in reducing the numbers of such an inshore reliant species. Current research is trying to establish group movements and at this stage they are thought to be very localised animals. 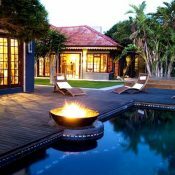 Sightings are year round and the Garden Route affords some of the best opportunities with 120 individuals identified in the area – 10% of the estimated population in southern Africa. Although humpbacked dolphins are notoriously shy of boats and humans they have been known to get used to certain vessels – as seen by those undertaking research – and will occasionally approach and investigate boats. On the rare occasions when they are seen to surf and leap they are unquestionably the most spectacular of acrobats. This species is difficult to distinguish from the more widely distributed short-beaked common dolphin. It too is very acrobatic and can be seen bow and wake-riding in large numbers. Small pods of 10-30 animals will congregate and form herds of hundreds or thousands of individuals. The 2009 review of the Delphinus taxa by the IWC Scientific Committee, as well as several recent scientific publications, concluded that the long-beaked and short-beaked common dolphins should probably be treated as the same taxonomic unit which shows considerable variation through its large range. (For these and some other cetaceans however, the species concept does not work very well and what this means in conservation terms will need to be given some careful consideration). Currently, two sub-species of long-beaked common dolphin are recognised; D. c. capensis – long-beaked common, and D. c. tropicalis – Indo-Pacific long-beaked common dolphin. As with most dolphins, calves are born throughout the year but births peak in summer after approx. one year gestation. They are then suckled for only six months. Females are sexually mature at approx. nine years – two years sooner than the average male. Both sexes may live for over forty years. Common dolphins are found offshore in most temperate to tropical waters. To be lucky enough to ‘run’ with common dolphins must be considered among the highlights of a lifetime. Common dolphins are usually found in large groups (500 – 3000, although over 9000 were sighted off Plettenbergbay in 1999). They are very gregarious and positively ‘love’ boats. Moving at high speeds whilst chasing prey, they will utilise the bow wave and the wake of a boat in order to save energy. At top speeds (we’ve clocked them at almost 20 knots) they will also ‘porpoise’ and leave the water entirely. Watching common dolphins move through water is to witness apparently effortless motion and the peak of aquatic evolution. Common dolphins are usually only found in the deeper coastal waters, however they are occasionally seen from shore during the summer months in the Western Cape and kwaZulu natal when they follow migrations of schoaling fish up the coast. Both common dolphin species are slender, with a long distinct beak and a high dorsal fin. The most notable difference, as the name suggests, is the beak, which in the long-beaked common dolphin can be up to 10% of the total body size. The long-beak common dolphin generally has a sleeker, more streamlined appearance and although both species have a criss-cross pattern on their flanks (forming a lighter horizontal ‘hour glass’ pattern), in the long-beaked species the pattern is less distinct and more muted in colouration. In contrast to the dorsal fin of the short-beaked, the white patch is either absent or minimal in the long-beaked. Also, rather than having a patch covering the eye, there is a stripe running from the beak extending to the eye. Long-beaked common dolphins are slightly larger than the short-beaked, and the long-beaked males are slightly bigger than the females. Long-beaked common dolphins also have possibly the highest tooth-count of all delphinids with between 47 – 67 sharp, pointed teeth in each row.